The most important parts of the Christmas season are not the presents or the tree, baking or decorations. It’s the people—family and friends—who enrich our lives and make the holidays so special. Christmas Quilt is actually a collection of people who will make you laugh and cry, remember and wish, and like good friends, you’ll want to visit them every year. You’ll meet Billy and Mrs. Clayborne, who have holiday ghosts to deal with; Megan and her siblings, orphaned just before the holiday. There’s the children of the coal mining village of Snow and a group of lumberjacks, all of whom learn to believe in magic. Read one mother’s need for holiday tradition, letters from friends full of holiday cheer, verses and rhymes about luminaries and Christmas Eve traditions. 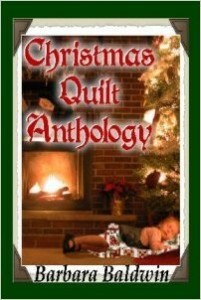 And meet all the people touched by The Christmas Quilt, made with love for a daughter’s holiday wedding, as it appears at Christmas time throughout the century. View more books in the genre "Nonfiction".